iSchola app now on Android! Sr. Kathleen on Cheryl’s Music Hour! 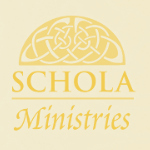 Schola Ministries iPhone App now out! Could Your Worn Jeans Save the Earth?